How do you reward and recognise employees? How do you reward employees for good customer service? We are here to help with the best way to recognise your employees. Do you remember the last time you were told that you were doing a great job or the last time you were rewarded for achieving a target, taking initiative or simply working back late a few nights? For me, it was just last week and the week before that as I am fortunate to be part of a team which celebrates both the small and large contributions to the company. A team which understands the value of positive reinforcement combined with a healthy dose of employee rewards is a powerful combo. Keeping employees happy, motivated, productive and on board with your company vision is not always the easiest feat to achieve. One crucial component to encourage your staff to give their best selves is your employee rewards. Here are five top tips for providing the ultimate employee rewards to the people that give their best, day in and day out. One of the most valuable gifts you can give your employees is the freedom to choose. With the Prezzee Swap Gift Card, your team can exchange and redeem their Gift Card for any retailer on the platform (and there is over 70 to choose from). They can take the holiday of their dreams, stock up their beauty cupboard, jump out of an airplane, or simply spend it on groceries. Either way, it’s one of the most powerful employee rewards you can give - the power of choice. Celebrate your team by sending them to some of the world’s most luxurious destinations - a lavish getaway in Hong Kong, a boutique hotel in London or a luxury resort in the Maldives - A luxury escapes gift will remind them of work whilst they sip on Martinis by the pool. Who doesn’t want more me-time in their lives with some escapism with their favourite magazines? From Delicious, Men's Health, Vogue, National Geographic, The Economist, Time, and Who magazine - this is a gift which rewards them with time no matter what their passions are. For the ultimate indulgence - why not say thanks with a unique employee reward by sending your team on a wellness retreat in a Queensland Rainforest? Knead out the knots of the last financial year and bring the team in alignment. From private yacht charters to gourmet dinners, to driving a Lamborghini for a day - Red Balloon offers hundreds of the most incredible range of experiences that will blow your teams minds and will increase your productivity. 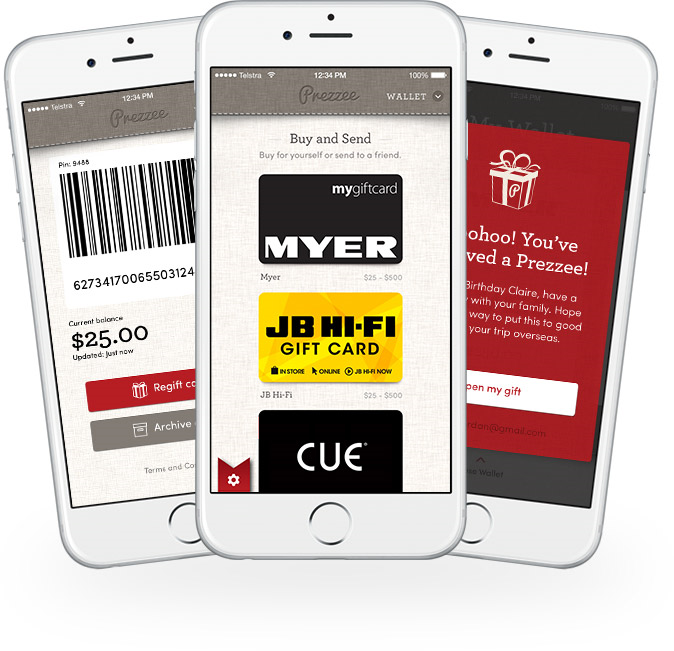 Contact Prezzee Digital eGift Cards for an easy way to give a little thanks.